To make the perfect slow baked pie, you need to master the perfect mix of fillings and melt-in-your-mouth pastry. 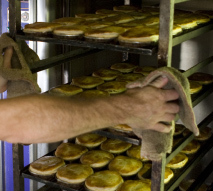 Culley’s make sure that the fillings in the pies are 100% Australian premium quality meat. All meat is hand-diced so you can taste the difference. Culley’s offer a large and varied selection of pies for their menu. The Peppered, the Chicken Korma and the Steak and Onion will surely satisfy your need for one of Perth’s best, award-winning pies. The sausages rolls are a Fremantle favourite, just recently picking up 1st prize at the Perth Royal Show 2009. If pies and sausage rolls aren’t your flavour, Do yourself a favour and try a Culley’s quiche. 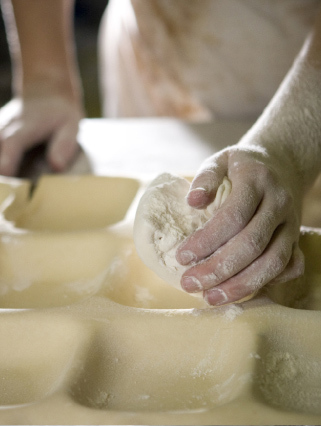 For the vegetable lover, Culley’s offer yummy veggie pies, pasties and spinach rolls.